While this may sound like a bit of a rehash of my recent post on the status of signaling in and around Amtrak's Empire Corridor, some additional news has come to light in the last week that confirms that the former Conrail LAB tower in Albany-Rensselare, NY has officially closed as of 02/07/2017. 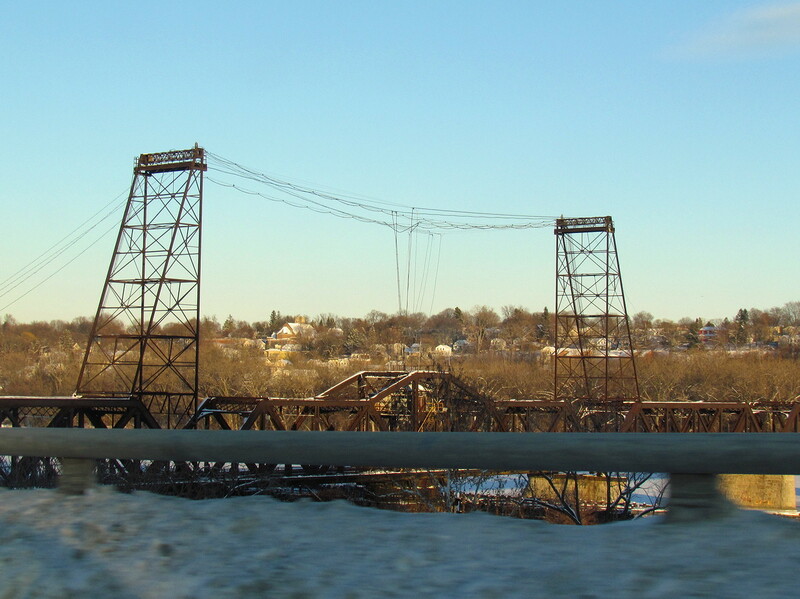 Located on the former New York Central freight movable bridge across the Hudson River just north of downtown Albany, the tower controlled the Albany terminal area from CP-141 through CP-145 inclusive. As part of a general re-signaling and capacity expansion effort, it was replaced by CTC control from New York City. 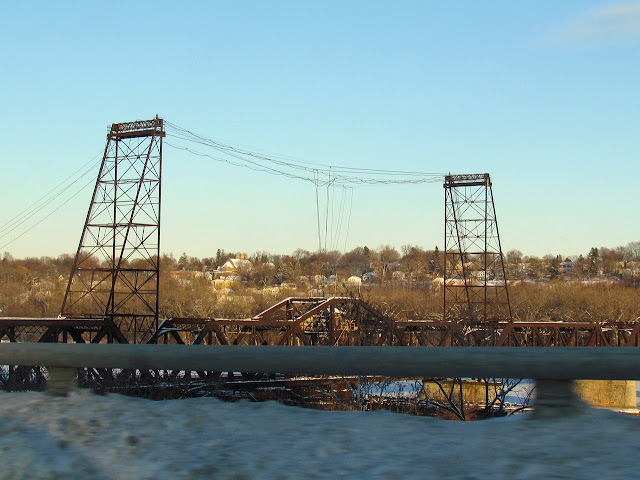 Short for "Livingston Avenue Bridge", LAB was the last active tower in Upstate New York. Seeing service under the New York Central, Penn Central, Conrail, CSX and finally Amtrak, LAB wasn't special for some sort of classic interlocking machine, but because of the role it played. 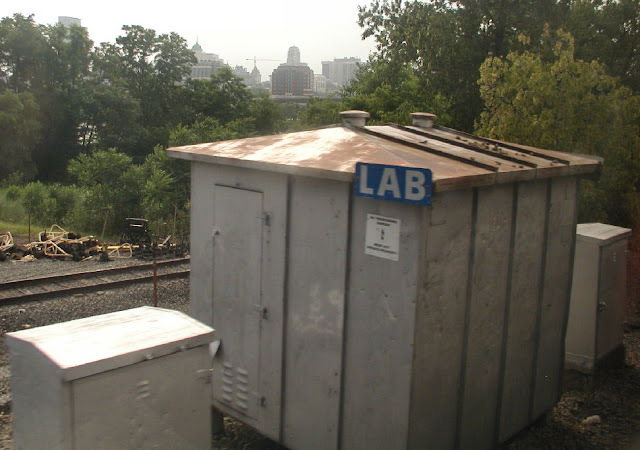 LAB was one of a number of "island" towers that supported Amtrak operations deep in freight railroad territory. Outside the NEC, Amtrak ran many of its operations from concentrated hubs. Not wanting the second class service afforded by freight railroad dispatching and (previously) not large enough to be its own CTC territory, Amtrak would either operate its own tower or contract with the host freight railroad to staff one for them. This gave Amtrak on site attention for its many passenger movements and helped keep the trains moving on time. Other Amtrak island towers included those around Chicago Union Station, Drawbridge tower in Michigan City, IN, which controlled the Michigan Line and Clara St tower in New Orleans. While I never saw a picture inside LAB, it's a pretty good bet that it was equipped like many other Conrail 1970's/80's CTC towers, with a minimalist N-X panel. Similar Conrail towers included HICK and SCOTIO, although I am sure there were more. In addition to Amtrak not wanting to deal with a CSX dispatcher, having LAB in charge of a movable bridge also helped as there would be little savings replacing an operator with a bridge tender. 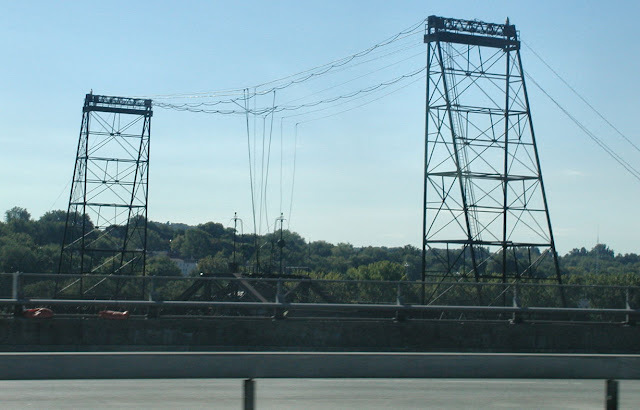 As implied by the term "cabin" the tower was located in the center portion of the drawbridge, the CTC pole line reaching it overhead. As I said before, the entire Albany complex has now been resignaled with not only new tracks, new doubleslip switches and LED searchlights, but also 562 operation running, so far, between CP-145 and a new CP-149 west of the city. Eventually the double track will reach Schenectady. The current (new) layout of the Albany terminal complex can be seen below. While it's always bad to see a tower close and classic signaling removed, the new layout is quite impressive and the modern LED searchlights and target signals are not too dissimilar from their GRS fore-bearers. Also, Amtrak kept the NY Central track numbering scheme going in the station terminal area. Now all we can do is wait and see at what point the state money runs out and how many Central signals are left standing.